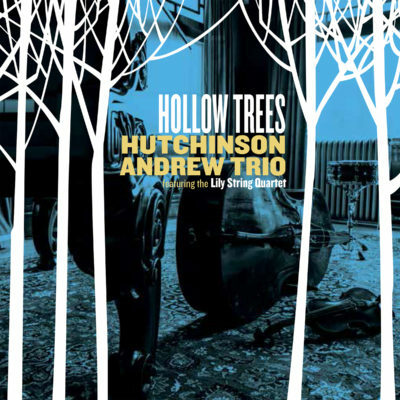 The Hutchinson Andrew Trio’s sound has evolved to a new level with its fourth album, Hollow Trees – a collection that incorporates elements of classical composition and performance to create music of unprecedented depth, scope and detail. Elements of classical music are woven seamlessly into the tracks, with mood-setting introductions unfolding into mood-altering journeys. The elements of jazz the interplay of musical personalities, improvised solos, rhythmic intensity are all here. Wrapped in the emotional power of classical melodies and arrangements that showcase piano and strings, the pieces will take your ears, and your mind, to a new place entirely.